It seems like Reggie is now also using that same Twitter account to post some brief updates of his final day at the company. In particular, he looks to be going through some of his belongings at his office, as he packs them up. It will certainly be a somber day for longtime Nintendo fans, whom have created dozens of memes around the charismatic figure. 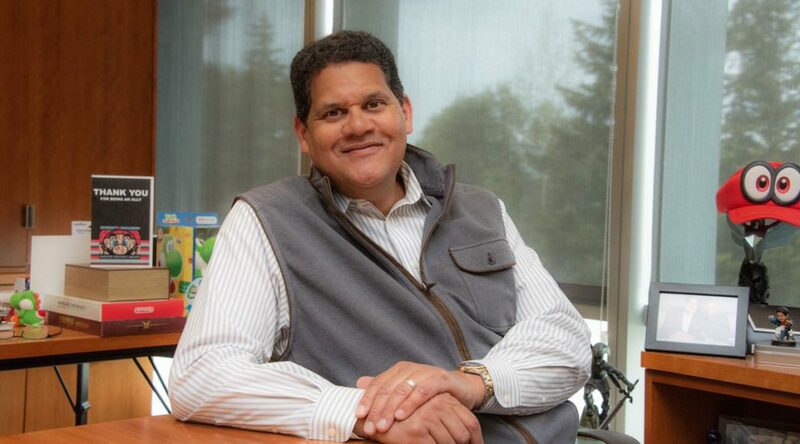 At the same time, we look forward to seeing if Reggie recounts more of his fondest memories at the company. Whatever the case, we wish Reggie all the best in his retirement. His co-worker Doug Bowser, originally in charge of marketing, will be Nintendo of America’s president from here on out. UPDATE: Reggie has posted more updates, showcasing his hilarious mii head prop, and a Master Sword replica. He will be leaving both items behind at Nintendo of America HQ.